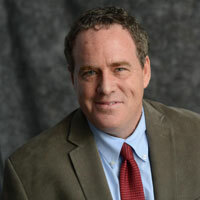 Adam Stepan is the Director of the Picker Center Digital Education Group, and Co-Director, with Professor William B. Eimicke, of the PGIF “Global Public Management” project. Adam oversees creation of online class materials and audiovisual case studies for the Global EMPA program, and works with SIPA faculty on the research and creation of audiovisual case studies. Prior to joining SIPA, Adam worked as director of online education and corporate solutions at Giros, a leading Brazilian communications and education firm, where he oversaw the creation of online learning solutions for major Brazilian companies. Adam has written and directed for PBS’s award-winning “Wide Angle” series, PBS’s “Learning Media” and “Teacher’s Domain.” A former member of the Writer’s Guild of America (WGA) and the Director’s Guild of America (DGA), Adam’s films have been shown on National Geographic, Discovery and the BBC, and in major international film festivals in North America and Europe. Adam is a Phi Beta Kappa graduate of Brown University and has completed coursework in finance at Brazil’s IBMEC. Adam is currently overseeing case research on new Picker Center projects in Africa, US, and China.